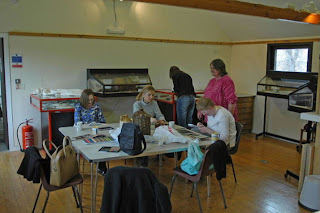 Saturday 17th March was the 13th Worlwide Sketchcrawl and I am so very pleased to report that some of our members joined me at Chatteris Museum for a whole day's sketching! Jenny Furlong kindly offered to keep the museum open all day for us and she even brought a sketchbook of her own back from lunch break to take part! - Thankyou Jenny! Rob Morris supplied us with warm shelter and cupfuls of hot, fresh coffee at lunchtime back at his house - Thankyou Rob! A very successful day with lots of laughs and plenty of sketching! Anita, Carol, Louise, Jenny, Rob, Martin, Diane, Joan, Emma-Jane all turned up to join in the fun! 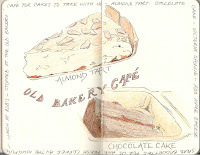 ~ More of Anita's sketches can be viewed HERE! Great day with smashing company. When's the next one???? Glad you enjoyed it Joan, thanks for coming along. 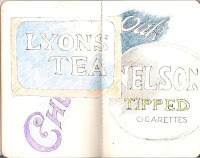 The next Worldwide sketchcrawl is in May...I will, of course, post details here nearer the time!